Thanks for coming — and donating. 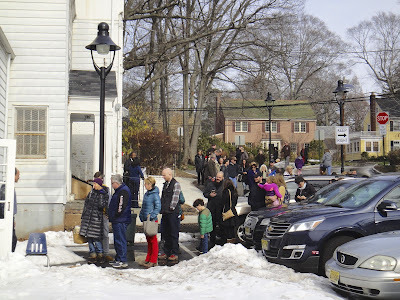 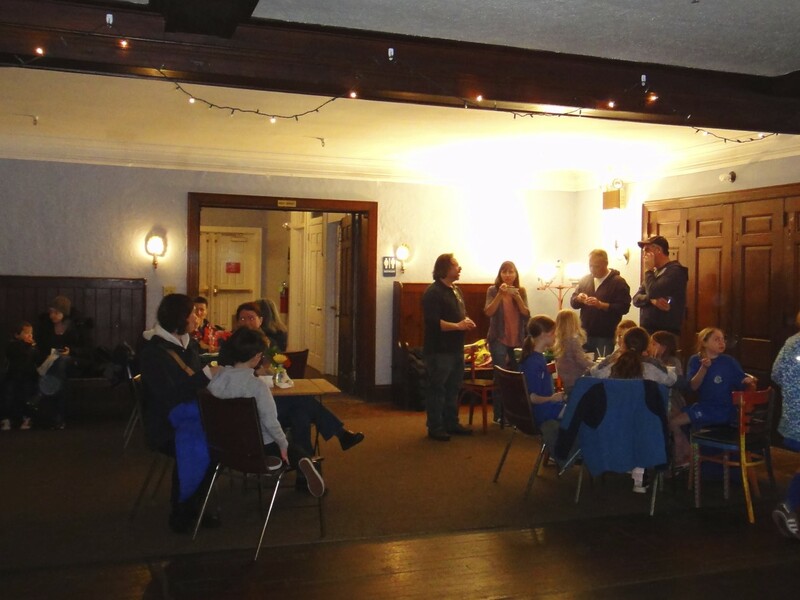 The line out the door on Feb. 7, 2016 at The Woodland in Maplewood, NJ. 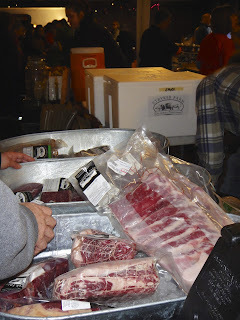 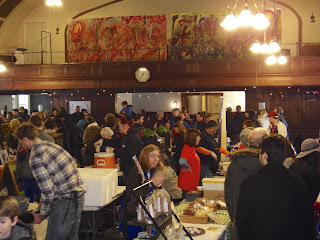 A busy Winter Farmers' Market. 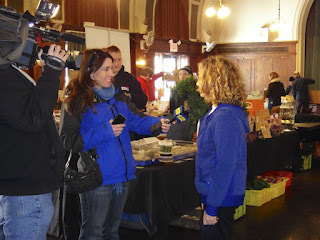 Slow Food NNJ Chair Julia Lawlor was interviewed by News 12 NJ. 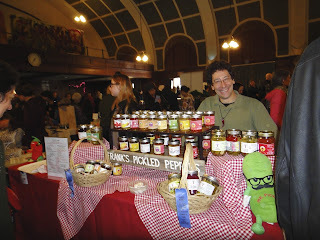 Frank of Frank's Pickled Peppers said his mango chutney was a big seller. 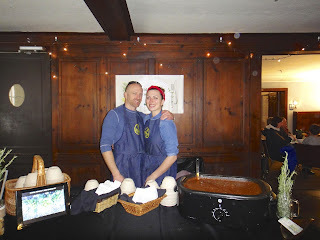 Dan Stein and Sylvia Becker of Wild Honey Catering came with 4 large tubs of organic chili and sold out before the end of the market. Kim of Jams by Kim said last summer's NJ peaches were the best. 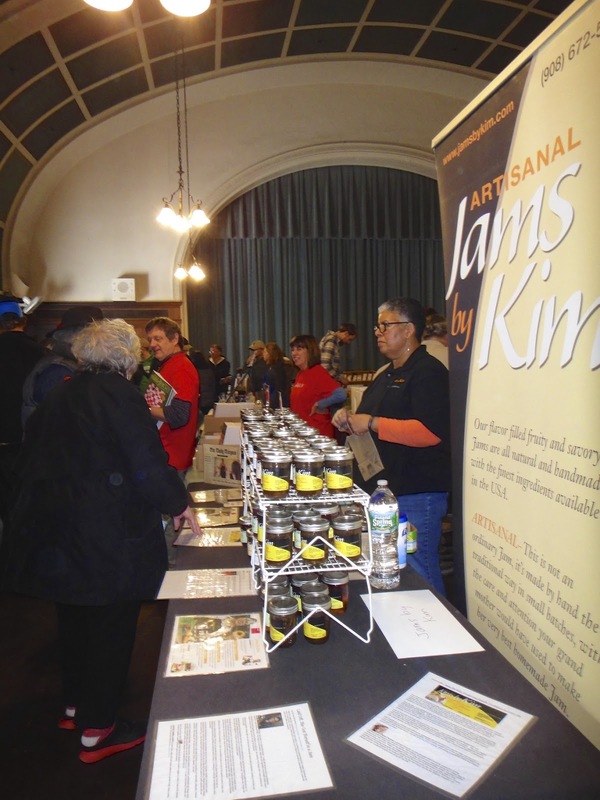 She had the last of her peach jam, along with many other flavors, ready for the picking. 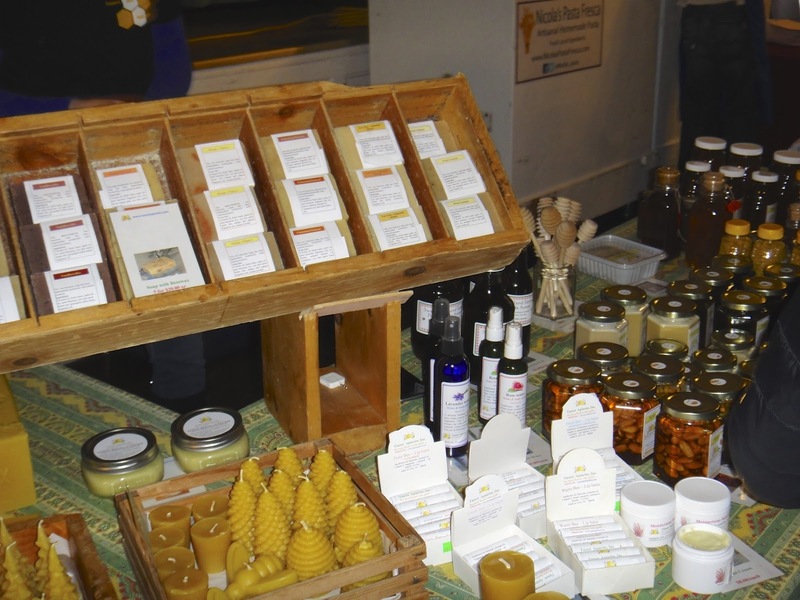 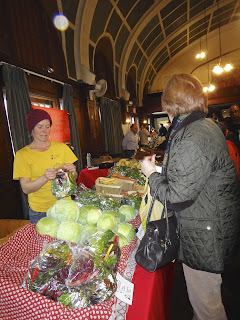 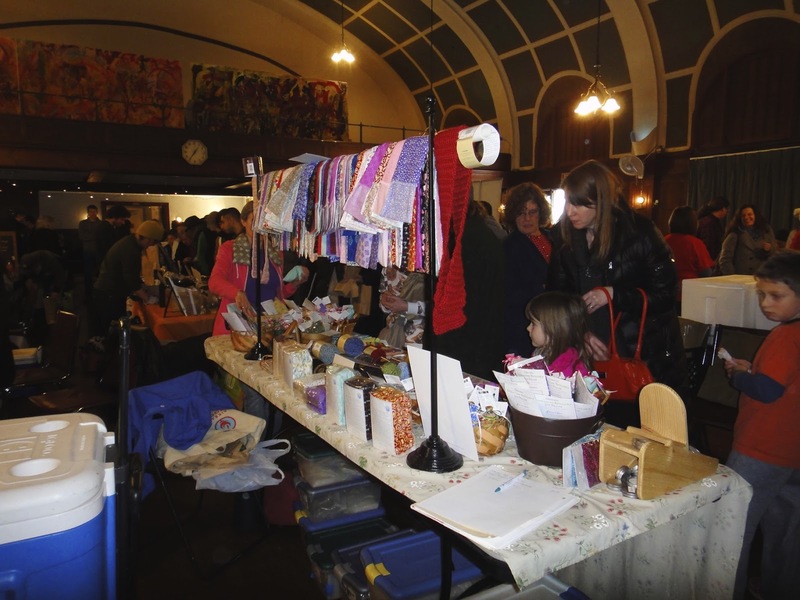 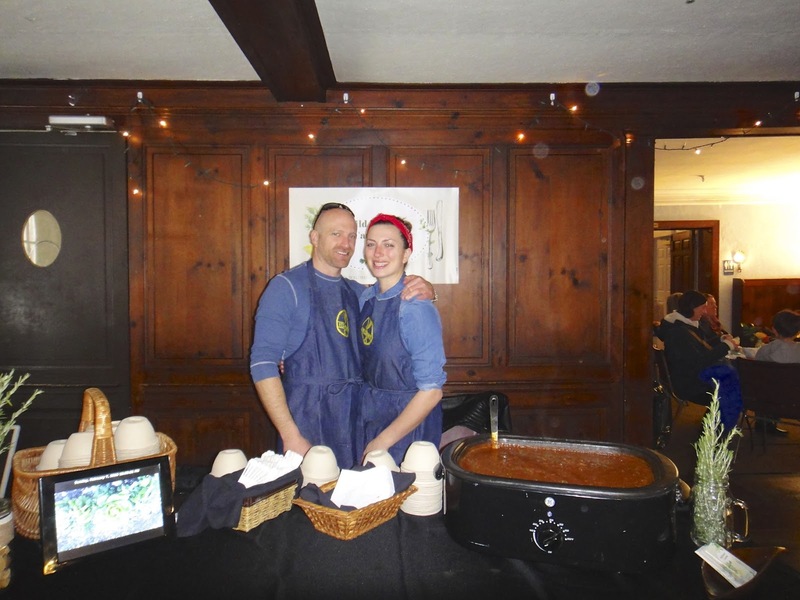 The first-ever Slow Food NNJ Winter Market cafe opens at The Woodland.